A St. Helens woman recently won $25,000 from the Oregon Lottery, just in time for Christmas. 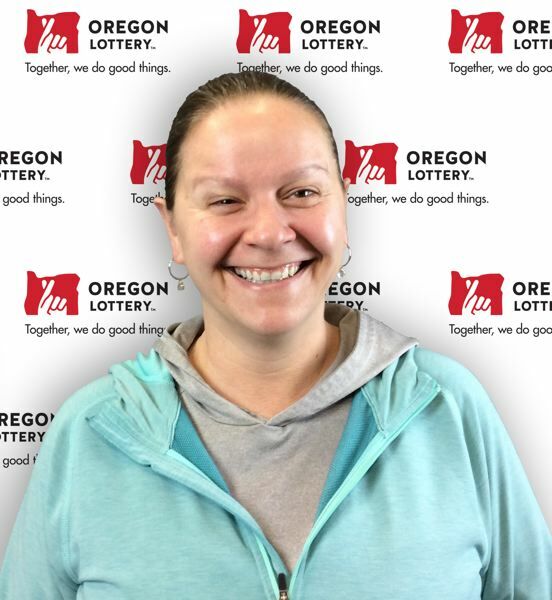 Amber Lahey was one of two women to win prizes earlier this month through the Oregon Lottery 2nd Chance drawing, according to a Dec. 11 press release from the Oregon Lottery. The second chance lottery allows certain non-winning scratch-it tickets to be registered online and entered into a drawing for the possibility to win the top prize on that ticket after the particular game has ended. Lahey was notified by certified letter that she won the $25,000 prize after entering a Railway Riches Bingo ticket into the drawing, the release states. "When I got the mail, I couldn't believe it," Lahey stated in a press release from the Oregon Lottery. "I called the Lottery and found out it was true. It's perfect timing for me because my birthday is at the end of the month and, of course, Christmas." Lahey regularly sets a $10 budget for herself each week when it comes to purchasing lottery tickets, and entering the tickets into the second chance drawing lets her extend her play, the release added. Lahey was one of two women to win $25,000 in the second chance game who were notified last week, on Dec. 4. Nicole Williams of Eugene also won $25,000 playing a Mad Money Crossword scratch-it. Officials with the Oregon Lottery recommend you always sign the back of your lottery tickets. In the event of winning a jackpot, they also recommend contacting a financial planner and recommend prize winners of greater than $50,000 should make an appointment to pick up their winnings in Salem. More information about the Oregon Lottery can be found online at www.oregonlotter.org.